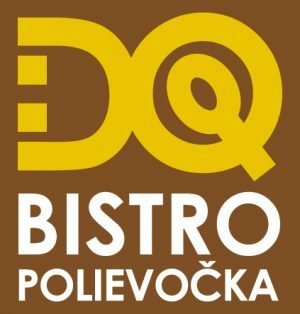 DQ Bistro Polievočka is „a child“ of two friends, IT-person and girl from creative advertising agency, who share the same life opinion and great love for food. After years spent working in corporate companies we burned out, quit our safe and well paid jobs and decided to live unknown new-way reasonable life filled of work we enjoy again. 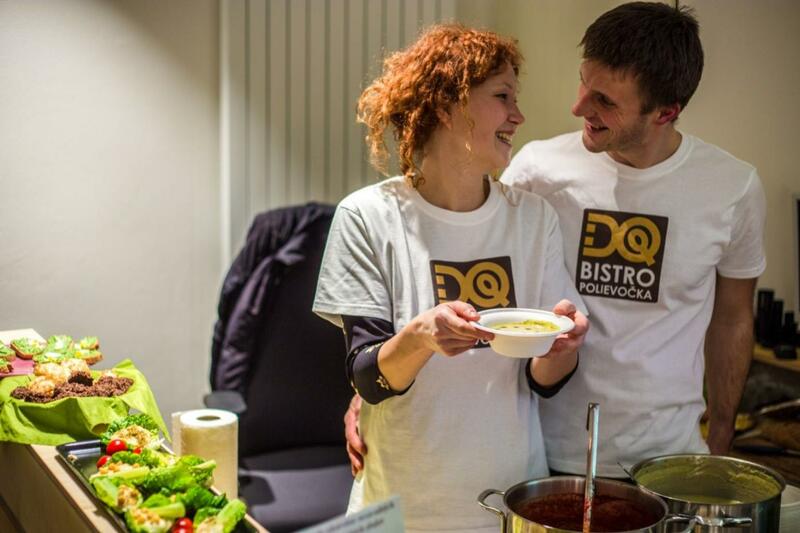 We created small takeaway restaurant focused on soups which we really like and can eat them every day. Our soups are full-valued main dishes. Maybe not for everybody at the beginning but you can learn how to eat your fill just from (our) soups. As we did. Your lunch here can be a lovely experience and suddenly you can have another positive moment to your day. Our menu is inspiring, you can try new flavours, unusual combinations or get a good turkey broth. Our staff and guests greet each others and we always meet interesting people here. As for example You. When we pick up the fruit and herbs from our garden, we feel happy. And your positive feedback, questions, spirit and empty bowls are inspiring and helping us to continue in this work. It doesn´t matter where we are going to live, there will be always reason to prepare soups and food for kind people. We offer thick and tasty worldwide soups. Our kitchen is running by owners (us). We cook, bake and shop groceries each morning and evening. Our daily menu depends on daily shopping and fresh groceries, we do not have fixed menu. We do not use glutamates, margarine, use only organic and bio eggs, watch additives and preservatives in food. We prepare from the same products at restaurant as we use at home for us and family. Our fresh poultry and fishes of highest quality come from the local farmers. We belive our energy transforms into the food. We prepare only the meals we enjoy. We use ecofriendly and compostable food packaging. You can find us here always during our opening hours.